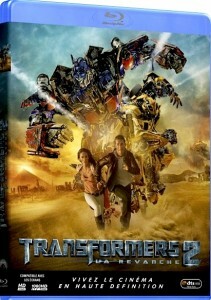 Transformers 2 DVD/Blu-ray to be release on 24th October in France? The French part of Blu-ray.com is listing Transformers: Revenge of the Fallen (or The Revenge as in is called in France) to be released on Blu-ray on 24th October. Amazon.fr also have the same details on their site, which could lead this be quite accurate information. If true, the rest of the world should receive DVD/Blu-ray releases around the same time. Please note that nothing has been confirmed by Paramount Home Entertainment and that Blu-ray.com is not the official site of the Blu-ray Disc Association.